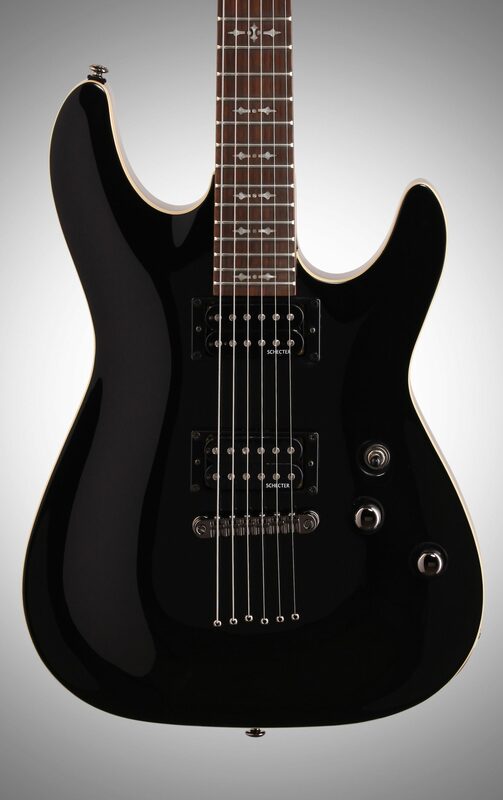 The Schecter 2012 Omen 6 6-String Electric Guitar is loaded with quality features, starting with classic design tuners in a lubricated and sealed housing to protect gears for a lifetime of maintenance free playability. 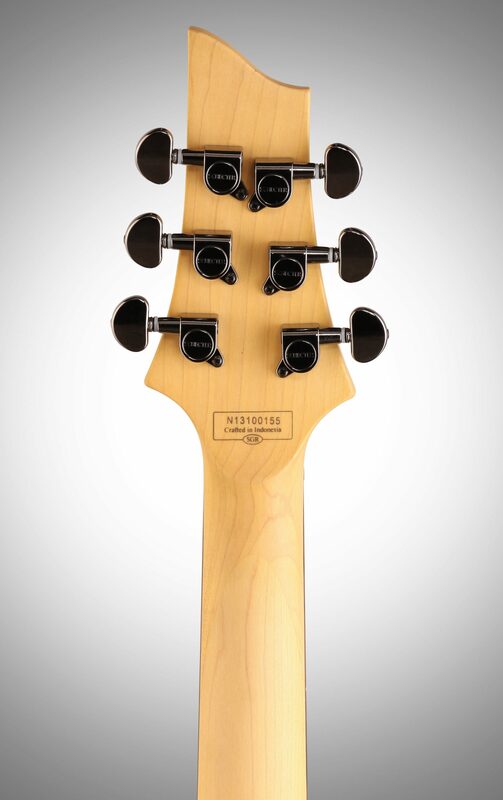 Details include a 15:1 gear ratio for smooth and precise tuning, removable knobs, threaded hex peghead bushing, and a 10 millimeter diameter peg hole. 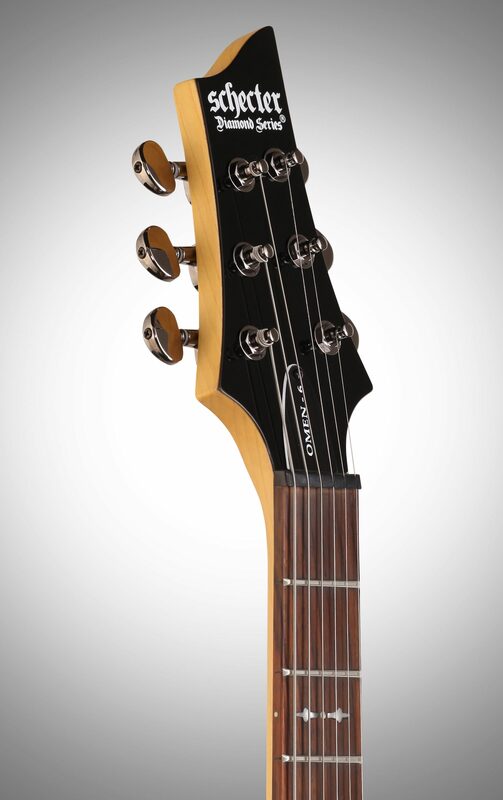 Another popular design feature is the Omen 6 Rosewood fingerboard. Naturally oily, the rosewood works well for any surface that sees frequent human contact. 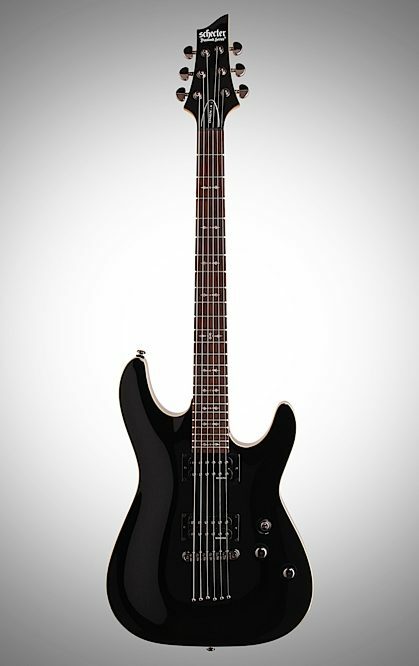 The 2012 Omen 6 includes Schecter Diamond Plus pickups perfect for drop tunings and made for crunchy rhythms and blistering leads. Over wound coils with a ceramic magnet give this aggressive high output pickup the push that will send your amp over the edge. 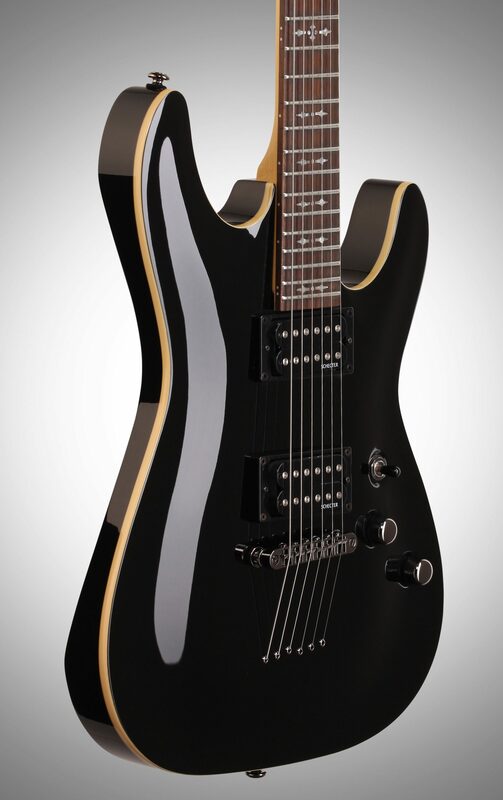 The Omen 6 was also designed with classic design Tune-O-Matic bridge with a Schecter 'String Thru' body tail for added string tension, sustain and clarity. To top it off is the Omen 6's maple neck that transfers a bright tone to the body, which complements the warm tones of a mahogany body. "My happieness is worth everything to me and for $300 I'm over satisfied"
Sound: I have to give this an 8/10 due to the pickups. They aren't THAT bad, but the bridge is a little bit muddy, especially as you add gain. 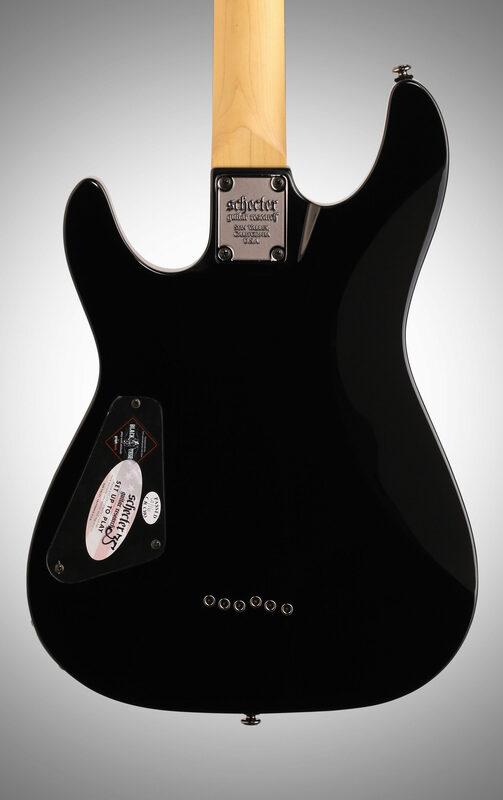 The neck pickup is actually pretty nice. Also, the bridge pickup ended up breaking about a week after I bought it...probably a loose wire somewhere. I switched them for a DiMarzio Norton and DiMarzio Bluesbucker and now the guitar is easily a 10/10. The string-thru body gives a ton of sustain and the body gives a nice, tight low end. Feature: This guitar has everything I was looking for. It's simple and that's all I wanted. Ease of Use: I played it in Guitar Center and it was setup exactly how I wanted it to be. 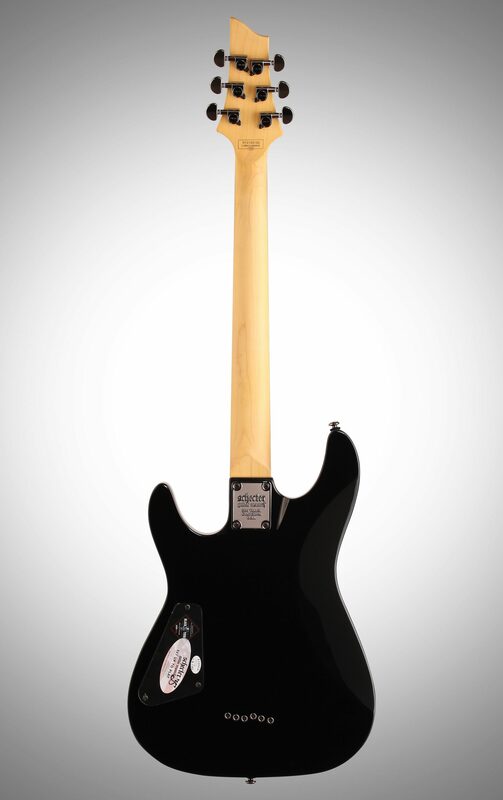 Quality: This isn't exactly a high-quality guitar when it comes to overall fit and finish. The stock pickups are definitely F-spaced, which means the poles don't line up with the strings. Once I replaced them with non-F-spaced pickups, everything was in better alignment. The pickup routing is also at an angle, which makes it harder to get things in perfect alignment. The finish on the body is great though and the neck seems to be pretty straight. Value: With another 10 minutes spent on fit and finish, they could double the price of this guitar. 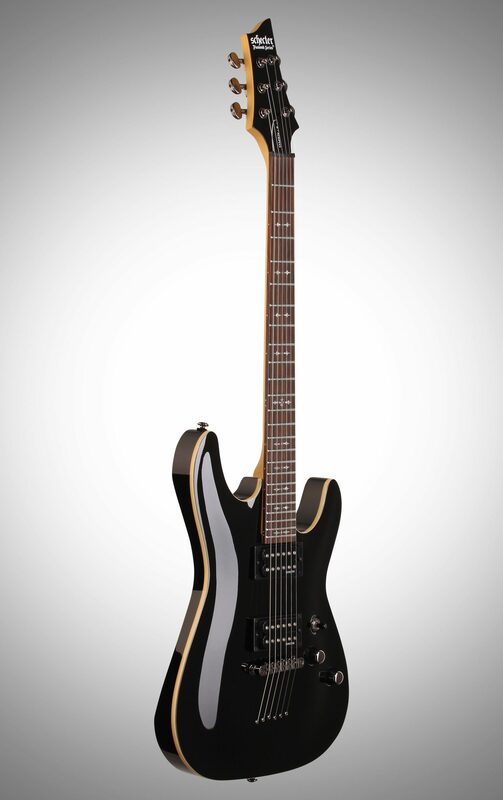 The Wow Factor: It's a Schecter. No one knows what that is. Overall: This guitar has some minor flaws, but come on, at this price point, it has to be expected. That said, the thing plays phenomenally. I've been playing for 15 years now and I gig regularly. I've owned them all: EBMM Petrucci, EBMM Luke, EBMM Silhouette, Ibanez JS, Ibanez PGM, Fender USA Strat, etc. This cheap little thing feels better to me than all of them. I bought this as a quick replacement after the Floyd Rose on my main guitar broke the night before a show. I played it out the day I bought it with the stock pickups. Some other guy brought some Les Paul Standard he dropped $2000 on and this thing SMOKED it. Tone is all in your hands anyway (and your amp, I think, haha...I run this through a Mesa Boogie Mark IV w/THD 2x12). This is by far the best guitar at this price point. It puts all the Ibanezes, etc. to shame. Add some new pickups for $150, practice hard, and you will thoroughly embarrass the guys who paid 5x as much for a brand name.